Hydro Generator Ignition – requires no batteries. Hydro mechanisms are easily damaged by dirt/ sand in the water supply & we recommend having a in-line water filter fitted to your incoming water supply to protect this geyser. 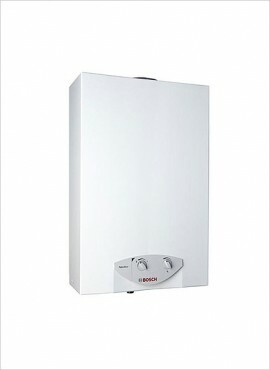 Bosch gas geysers are manufactured in Portugal, under direct supervision of the parent company in Germany. Geysers will ignite in low water pressure conditions (ie 1 bar). 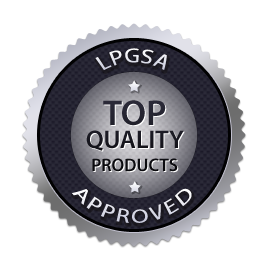 Approved for indoor or outdoor installation. Geysers installed indoors must, by law, be fitted with a flue pipe which exits the building (either via the exterior wall or vertically via the roof – may not end in ceiling). Flue pipes are required for Bosch geysers installed outdoors – without this the geyser will overheat & keep switching itself off. 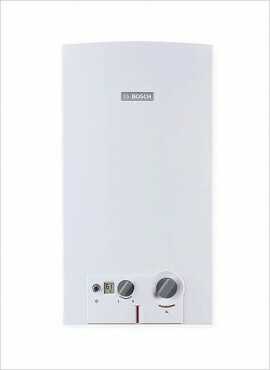 2 year warranty, providing the geyser is installed by a qualified & registered gas installer. Dimensions : 220 (D) x 310 (W) x 580 (H) mm. Manufactured in Portugal, under direct supervision of the parent company in Germany. Dimensions : 400 (D) x 270 (W) x 770 (H) mm. Dimensions : 475 (D) x 270 (W) x 770 (H) mm. NG (Natural Gas) 23 (2.3) mbar (kPa). Natural Gas is underground piped gas available only in certain older suburbs of Johannebsurg. NG (Natural Gas) 23 (2.3) mbar (kPa). Natural Gas is underground piped gas available only in certain older suburbs of Johannesburg. Battery Operated NG (Natural Gas) 23 (2.3) mbar (kPa). Natural Gas is underground piped gas available only in certain older suburbs of Johannesburg.